Schema.org Optimized WordPress Posts, Categories for Genesis Theme Frameworks are easier to create than to fully work on making WordPress modern from scratch. Easier does not mean that you can create within one day. It might take few months, but the good work Genesis Theme Framework is still continuing is the addition of the microformats other than Schema.org. Genesis still lacks few important markups (we wrote somewhere in this website). However, there are non-Genesis users, they also can follow by the combination of various Plugins with some free and lightweight theme. Genesis possibly weighs 585 KB or like that. This website’s custom theme weighs 127 KB. Still, WordPress needs hundreds of plugins to improve the page loading speed. Actually Bryan is not only a good coder, he is basically a creative person. No plugin still exists which can stand the real Schema.org’s rules – we still running and getting passed via Google as Google is itself using Schema.org in a kind of beta mode. So, it is important to know about these Schema.org Optimized WordPress Posts, Categories for Genesis as either in future a definite modern forked version of WordPress will be needed for PosgeSQL database support and many improvement in many parts. It is nice to read this article – Self Hosted Schema.org and Microformats Free Checking Tools. This will help you to develop or modify according to your need. Genesis default SEO functions are more than enough plus the Meta Description comes just below title, which is a big plug point. Schema.org Optimized WordPress Posts, Categories for Genesis are for very advanced knowledgeable persons. It is not for buggy WordPress SEO Plugin Developers. It brides the gap of knowledge for your good quality website. As mentioned above in the Self Hosted Schema.org and Microformats Free Checking Tools article, current situation of Schema.org for WordPress is pathetic. Forget about a perfect Schema.org Optimized WordPress Posts, Categories for Genesis. Currently combination of few older Schema.org Plugins plus a good Genesis (for non-schema.org Microformats) theme is somehow closer to perfect. When suddenly Google will withdraw the importance of non-schema.org microformats, older meta tags; then the only way will be to use plain HTML webpages. Drupal is doing far better in development. Forum Softwares are also improving specially on Schema part. When Google will exclusively run schema.org checking algorithm, there is enough chance to get gray listed because of kind of current plugin’s intentions. The intention was discussed on previous linked post above. View the HTML source. Can you see the detailed usages on their own website ? WordPress for unknown reason has no Meta Description by default as far I can recall. WordPress are useful, but they are SEO-wise so bad, all suggests to not allow to index them. Each demands to be of Schema.org compliant. I have avoided to include the < … > in the example. Now the whole thing on that webpage should be followed. Then comes the extra things. Some examples are given here. Breadbrumb should be of Schema.org’s. 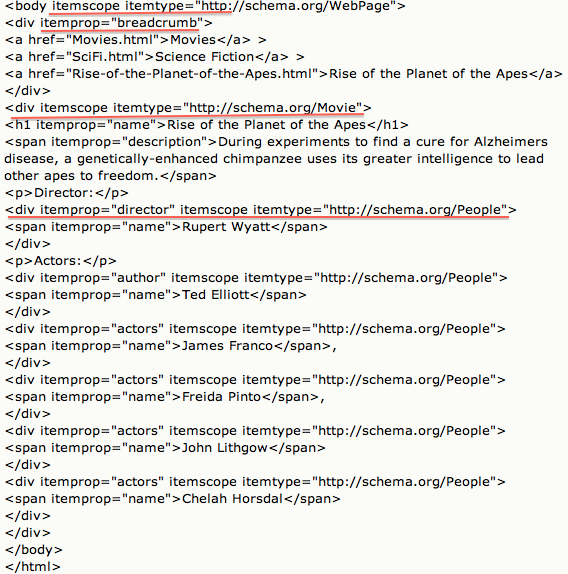 In the way we are using Schema.org is practically like a spammy site wants to get a ranking somehow. This attitude should be changed, all markups are in a way, they demands a custom theme, may be modified Child Theme of Genesis due to easy to use the extra filters. It is basically not possible to use hundreds of plugins for one WordPress website. All are known to create some issue after an update. We are basically forcing WordPress Software to add the latest norm via plugins, adding snippets. That practically adds overhead to MySQL database. Your post becomes “is maintaining relationship” but MySQL database can betray at anytime. This Article Has Been Shared 5349 Times! Cite this article as: Abhishek Ghosh, "Schema.org Optimized WordPress Posts, Categories for Genesis," in The Customize Windows, April 12, 2013, April 26, 2019, https://thecustomizewindows.com/2013/04/schema-org-optimized-wordpress-posts-categories-for-genesis/.